Jared Kaplan - For the Industry. By the Industry. 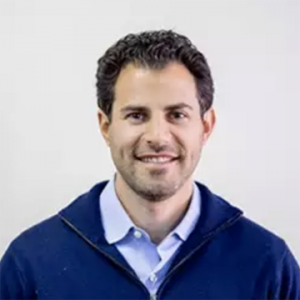 Jared Kaplan is the Chief Executive Officer of OppLoans. He has transformed the business from four storefront Chicago lenders to a best-in-class technology platform that enables more people to borrow responsibly in the face of financial emergencies. OppLoans is the highest-rated lender and services provider to the underbanked. In 2018, Jared was ranked the 8th highest-rated CEO on the Top CEO list by Glassdoor and named a finalist for EY Entrepreneur of the Year. Under his leadership, OppLoans has placed on the Inc. 500 list of fastest-growing companies for the past three years, the firm was named a 2018 “Best Workplace” by Inc. Magazine, America’s sixth-best place to work by Glassdoor, a number-one personal lender by LendingTree and a “Leader in Quality and Innovation” by the Center for Financial Services Innovation. He is the co-founder and former Executive Vice President of Insureon, the leading online agency for small business insurance. At Insureon, Jared helped the company achieve over 1,700% revenue growth while building its customer base to more than 175,000 small businesses. Prior to Insureon, Jared led financial services investing for Accretive LLC, a unique early-stage private equity firm that designs, funds and builds new businesses. He has a Bachelor of Business Administration from the University of Michigan and is a die-hard Detroit sports fan.